Our English-speaking staff will be pleased to welcome you in our hotel, just 5-10 minutes walking from the central railway station. We have a very good access to Milan's tube system, and you'll get in Duomo square in just 4 stops (5-10 minutes). All the rooms, recently renewed, are provided with private bathroom and shower, television and air conditioned/heating system. Don't hesitate, the rates are real! Book now! A cute little hotel in a great location -- a 15 minute walk from the train station, and just around the corner from the Lima metro station & a bustling shopping area. My room was nicely equipped and I slept both nights undisturbed. My only complaint was that the shower water didn't get any hotter than lukewarm, and even that is being generous. Love the fact we had A/C location was close to train stations! 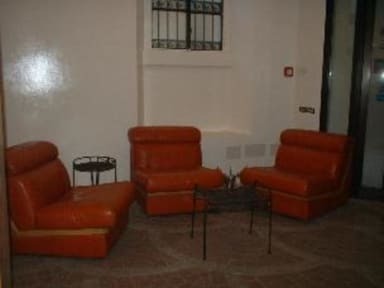 Nettuno is very conveniently located near the Centrale railway station, making it a decent place to stay for a night. The rooms are very basic and quite worn out but clean. The wi-fi connection is on and off, sounds carry into the rooms from both the corridors and streets, and there is no elevator (nor will the staff help you with your luggage). Hotel is good, it worth it.. But, when checking in, they informed me about the city tax, wich is not mentioned in the website, as normally is mentioned. When trying to argue with the staff, he's been very unhelpful, and when he tryed to show me the website and there was nothing he started to ignore me and didn't hear me anymore.. Totally unpleased! 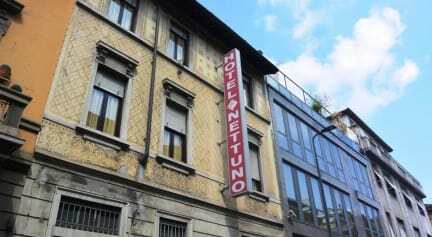 Hotel Nettuno was fine. It was clean in our room, but despite no-smoking signs the hallway often reeked of smoke. The walls were paper thin, so we could hear in exquisite detail whenever the hall door banged open or someone had a phone call. I picked it for the location, which was conveniently within a kilometer of the central station but the neighborhood was a little seedy. It was nice that there were always staff at the front desk, and that the hostel provided towels. All in all, acceptable.